In the spirit of the holiday season, we're giving away Little Pim Digital Discovery Sets ($49.99 value) in your choice of 12 languages during our 12 Days of Giveaways event. 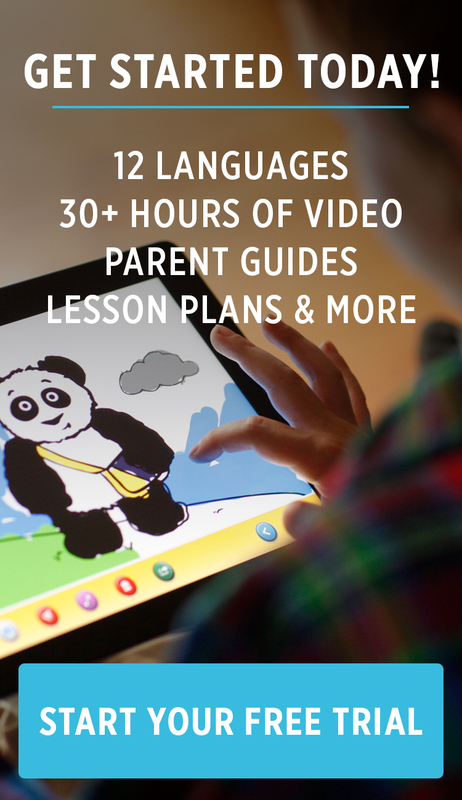 The set includes your choice of Little Pim's award-winning foreign language videos available in 12 languages, Little Pim Panda Plush, and our "Say Hello!" Poster. The videos are sent instantly to your email address and the physical items will be mailed to you. You can enter to win a free Little Pim Digital Discovery Set up to three times per day by commenting on our Facebook page, Instagram, or by retweeting our tweets on Twitter. Twelve lucky winners will receive the gift of a new language for their little ones this season. The more your participate, the greater your odds of winning! Starting Saturday, December 10th, we will choose one lucky winner per day at midnight EST. Day 1 Winner: Erin Caylor @UpsideofChaos on Twitter! Congrats, Erin! Day 2 Winner: Meghan Finley on Facebook! Congrats, Meghan! Day 3 Winner: Amber Walsh on Facebook! Congrats, Amber! Day 4 Winner: Ami Tah @dollylaparker via Instagram! Congrats, Ami! Day 5 Winner: Jenn Darrieux Shippy on Facebook! Congrats, Jenn! Day 6 Winner: Doris Beyer-Hrebicek on Facebook! Congrats, Doris! Day 7 Winner: Lori Leal @LoriLeal1 on Twitter! Congrats, Lori! Day 8 Winner: Mady Swimm on Facebook! Congrats, Mady! Day 9 Winner: Ashley Garrett Nolan on Facebook! Congrats, Ashley! Day 10 Winner: Stacey & Alexandria @babyhawke84 on Instagram! Congrats! Day 11 Winner: Abigail Frazee on Facebook! Congrats, Abigail! Day 12 Winner: Jennifer Torres on Facebook! Congrats, Jennifer!